We took out the old 70s mirrored closet doors from our son’s room as they were pretty shabby and hard to move. 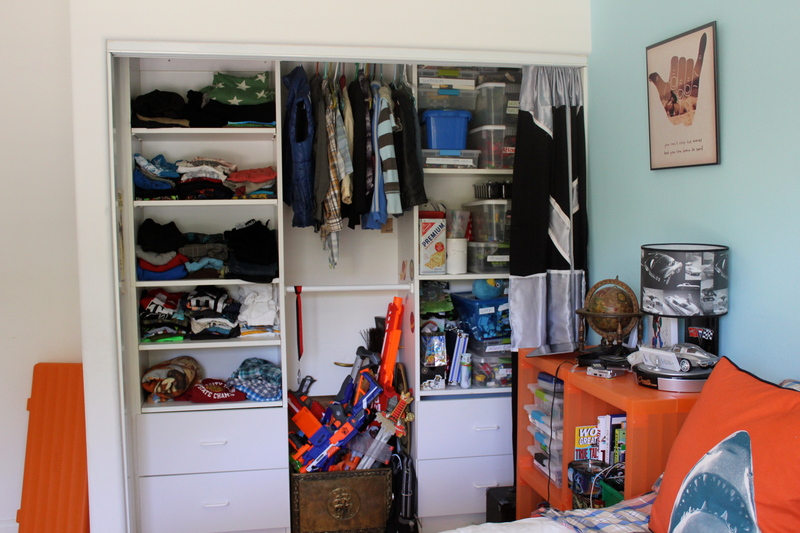 They also hindered access to the center of the closet (aka Nerf Central). We wanted him to have easy access to all his toys and clothes, so instead of replacing them with other closet doors, we decided to get curtains instead. I looked at various commercial curtains and couldn’t find anything both my son and I liked, so I brought out my sewing machine and gathered fabric remnants. We both thought that a flag would be cool and really, there is no cooler flag than the Union Jack! 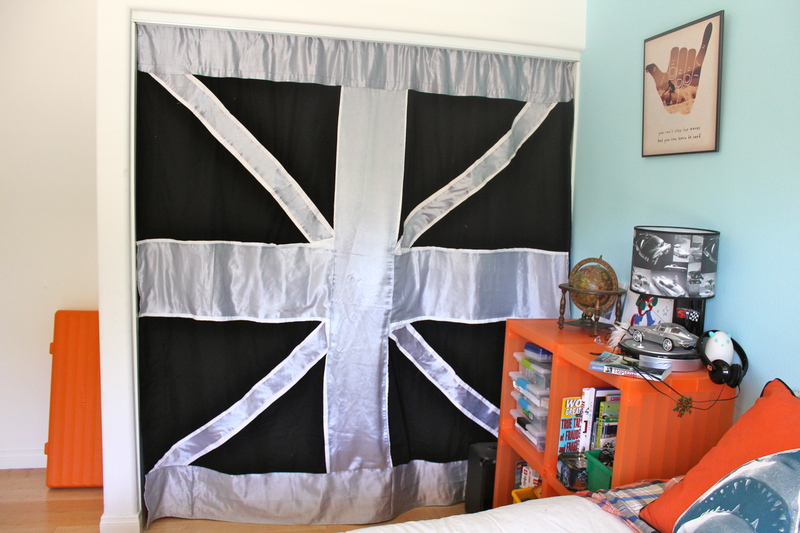 As his room already has a lot of color, I changed the flag colors to black, silver and white. I used a black flat bed sheet and then spent many hours cutting and sewing layers of white (also from an old bed sheet) and silver fabric (from a remnant I had) on top of the black sheet. I ordered a tension rod online and lucked out, it fit perfectly into the previous opening of the closet doors. 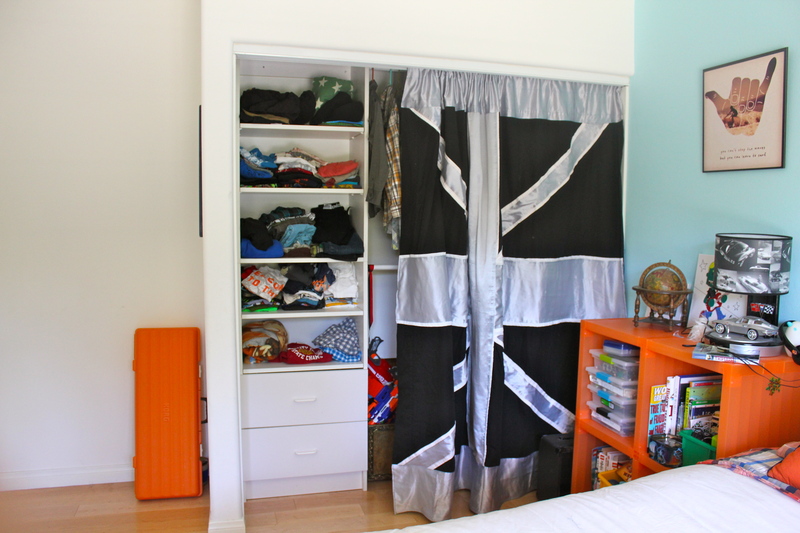 I kept the curtain as a one piece instead of 2 panels as I preferred the look and it’s really easy to move it over to either side of the closet. This was a fun project, cost about $40 ($10 for the black bed sheet and $30 for the tension rod). 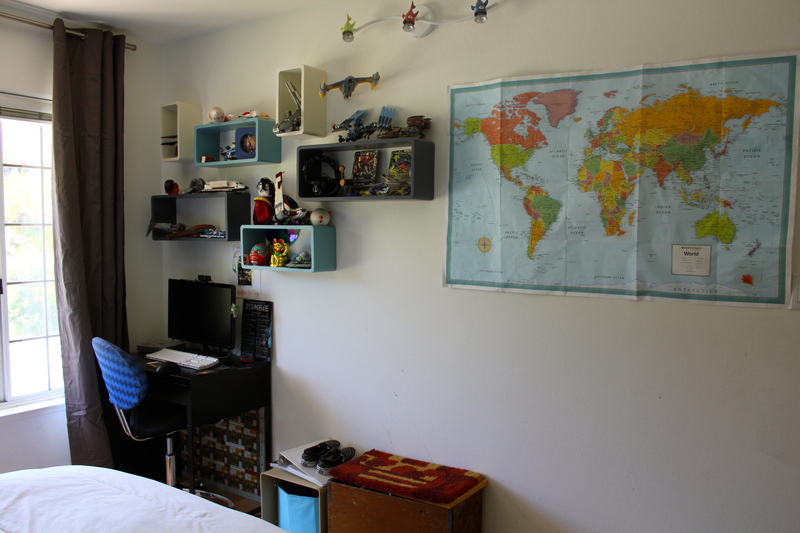 My son loves it and it goes well with the rest of his room. 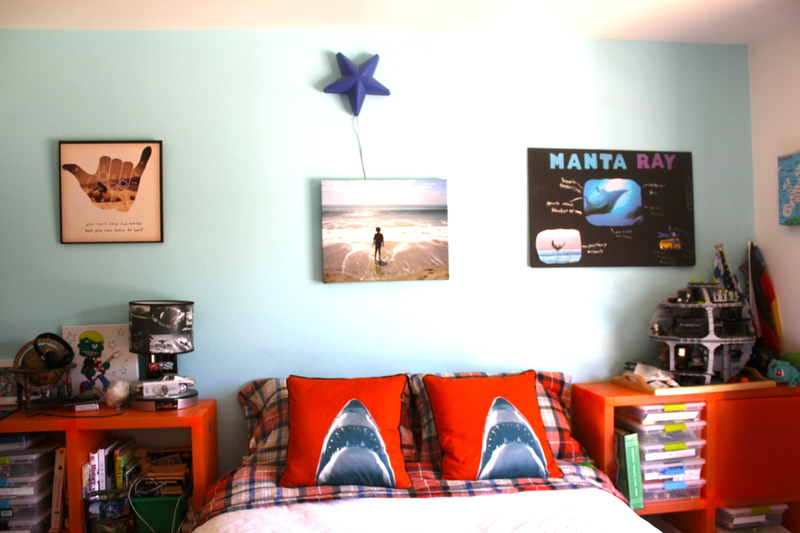 Many people have asked me about the Shark shams – they are from pbteen.com but I’m not sure if they are still available. Here is a link: pbteen shark shams. 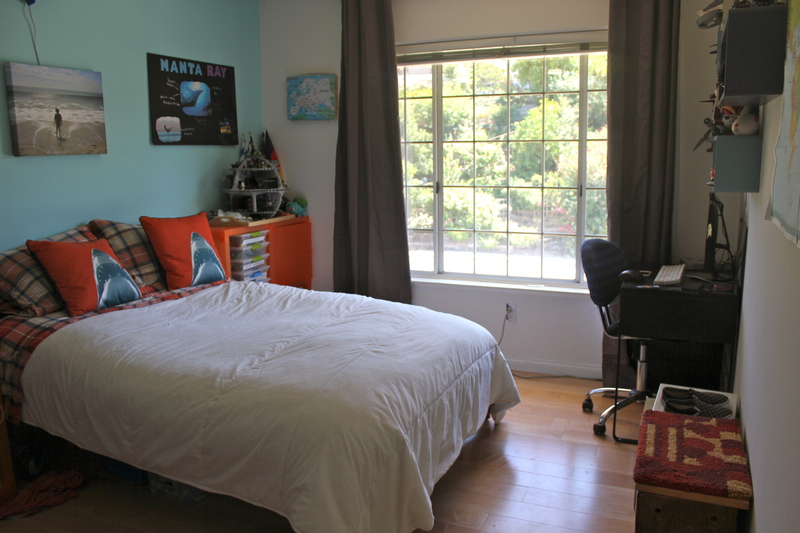 My son also has the shark duvet cover but as we live in SoCal, it’s too warm during the summer months.